Dynamics CRM and the Cloud? 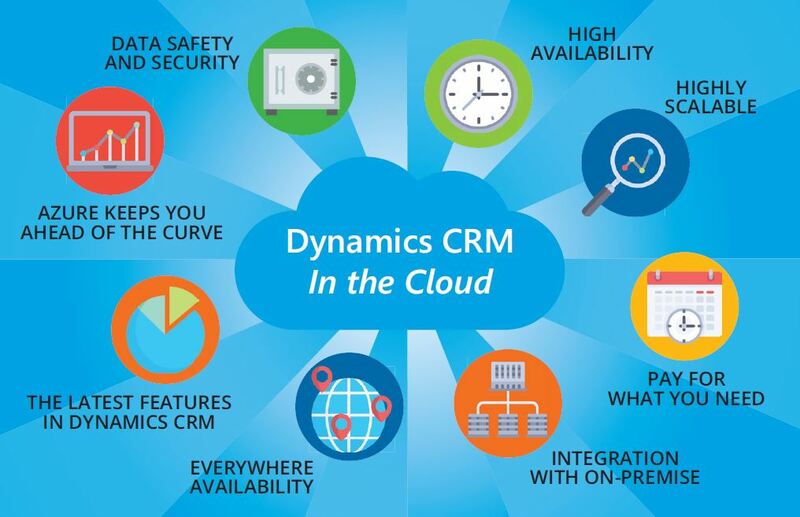 Are you ready for the power of Dynamics CRM and the Cloud? your needs, your employees know how to use it, and it’s working. What’s more, Dynamics is fully integrated with the Microsoft cloud and other Dynamics 365 applications, Office 365, SharePoint and Exchange, Azure Services, and Common Data Service version 2.0, which offers a host of Microsoft and competitive applications. build-out of new production and sandbox environments. Pay for what you need—Azure allows you to scale based on demand, so you pay only for what you need. 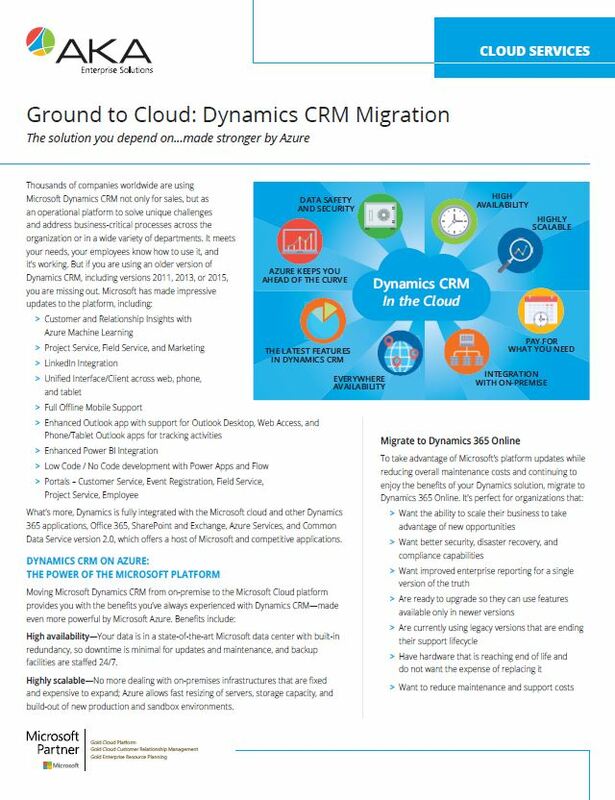 Integration with on-premise systems—Your Dynamics CRM Cloud environment can be fully integrated with your existing on-premise systems, including ERP, reporting, and third-party applications. applications around the world; Azure runs on a growing global network of Microsoft-managed datacenters. Azure keeps you ahead of the curve—Use Microsoft PowerApps and Flow to develop low code / no code solutions that run on mobile and desktop platforms and provide solutions specific to your business needs. Customizations and development are faster and more cost-eﬀective, and scalability is simple—accommodating growth and changing business requirements. You also get immediate access to the latest and greatest as Microsoft continues to refine and enhance Azure, Office 365, and Dynamics 365.
in Azure, Dynamics CRM, and how to integrate systems for optimum performance. One-stop support—You have one place to call for Dynamics CRM, Azure, or other infrastructure issues—you won’t get bounced around between diﬀerent support teams. Unparalleled experience—AKA has been a Dynamics CRM partner for more than 20 years and has an expert Cloud team. These teams work together to ensure your solution works seamlessly. AKA’s CRM and Azure consultants, developers, and support staﬀ as your IT team. Fast, thorough implementations—We have a proven implementation approach and dependable tools for application lifecycle management, platform configuration, data, and environment migration, that will have you up and running in Azure in days, not months.